I was on Twitter a few weeks ago and noticed that a new ramen restaurant was opening in Toronto. I was so excited seeing as I’m a huge Ramen fan. I clicked the “follow button” and asked if they would keep me in the loop when they were opening. Shortly after, I received an email asking if I would like to attend their opening. I quickly said “YES…COUNT ME IN”. They opened today for a media preview and I was one of the lucky people invited into their restaurant, which only has 36 seats!! 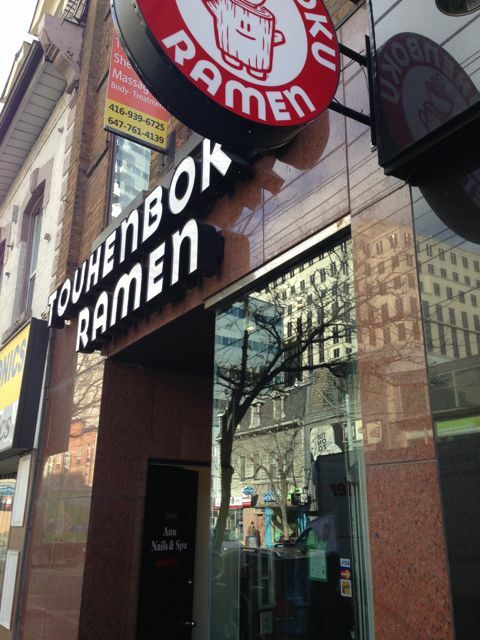 Touhenboku Ramen is located at 261 Queen W. and in my opinion this is a great spot for a ramen restaurant. 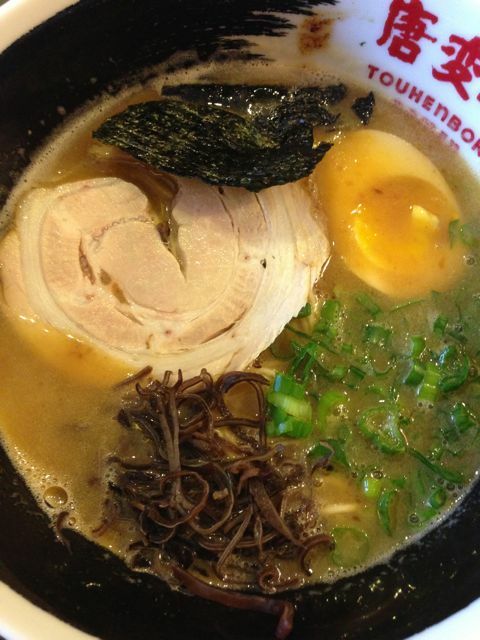 Touhenboku Ramen features ramen soup that is made from chicken broth. It can be ordered be with your choice of lean pork, rich pork or chicken chasu. 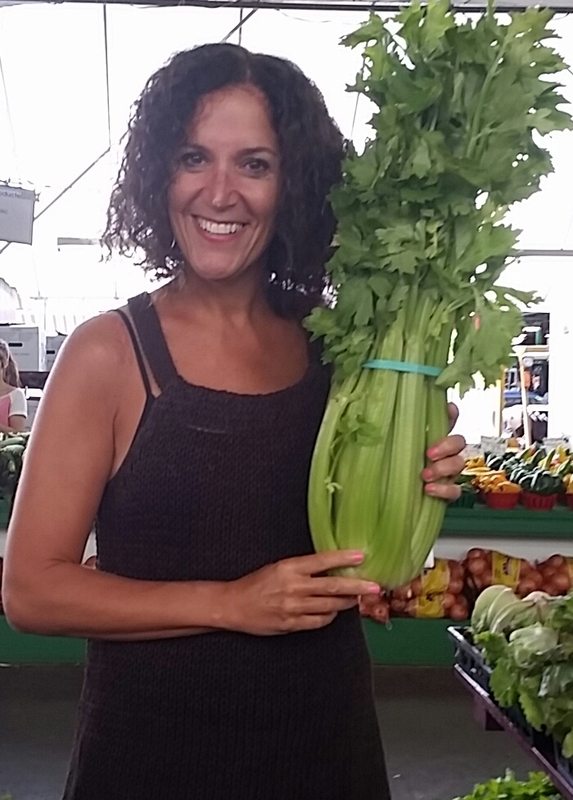 Plus you can choose between thick or thin noodles, which are made from their own blend of flour. I tried the Garlicky Touhenboku Ramen and was surprised that the broth was so thick but it was indeed one huge bowl of flavorful ramen. I’m sure by the time winter is over I will have tried their other options, which are: Original, Spicy, and Light. 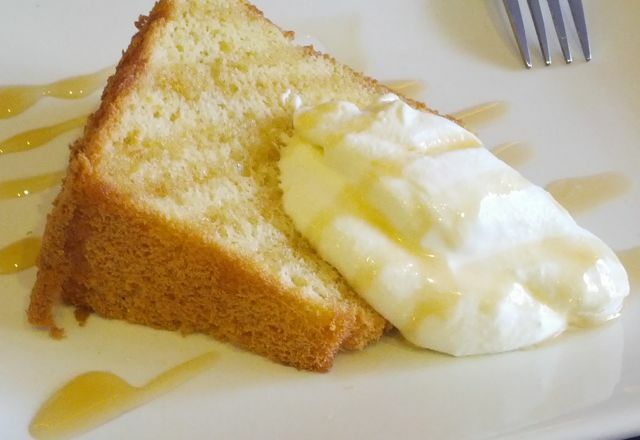 Sadly I didn’t have a chance to try their Chiffon Cake but it looks great, doesn’t it?